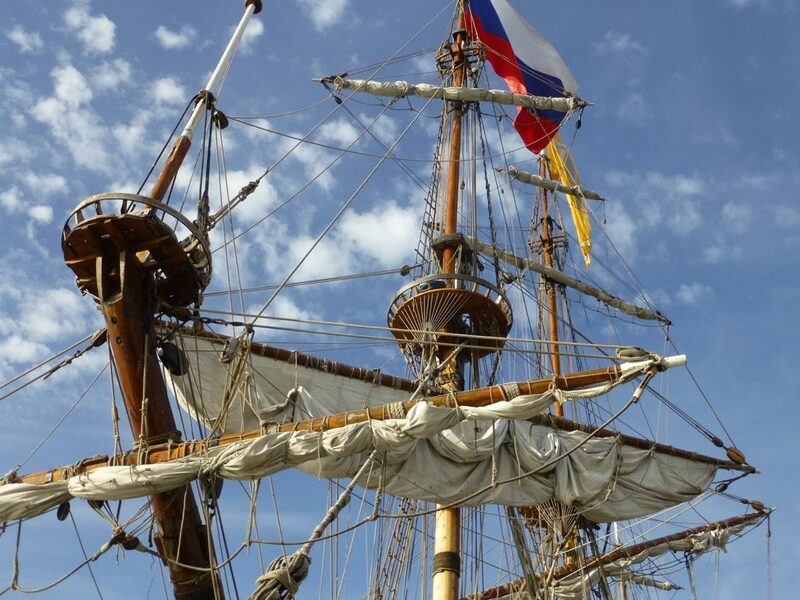 Ship propulsion systems have followed this principle ever since the engine below deck first took the place of canvas and oars and made shipping rather less dependent on the weather. 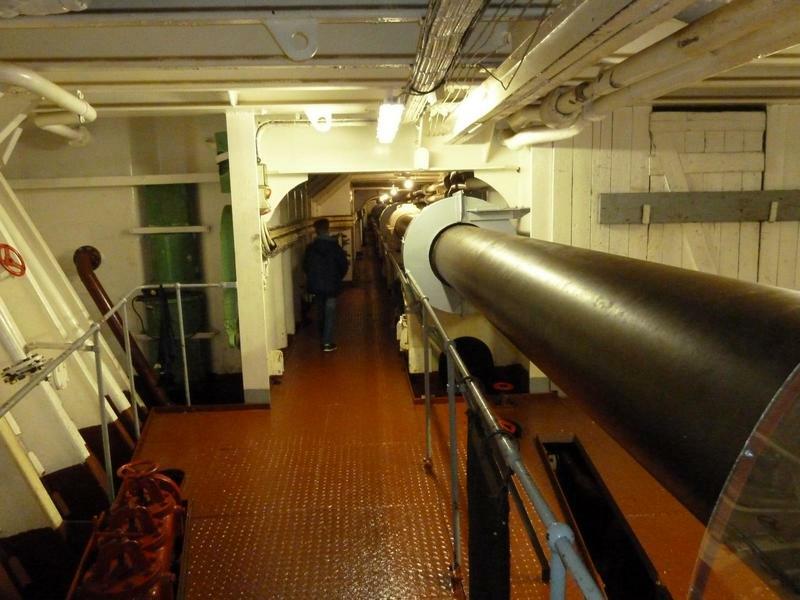 A propeller pushes in a straight line against the shaft and the ship’s engine at the end of it to move the whole show forwards while wasting as little as possible of the force generated. The force applied is obviously substantial – and obviously this force really ought not to be transmitted through the engine mounts, as they are not designed to handle shear forces. Just imagine what would happen on the average sailing boat if those relatively insignificant little rubber and metal feet under the engine had to bear the brunt of every powered manoeuvre! 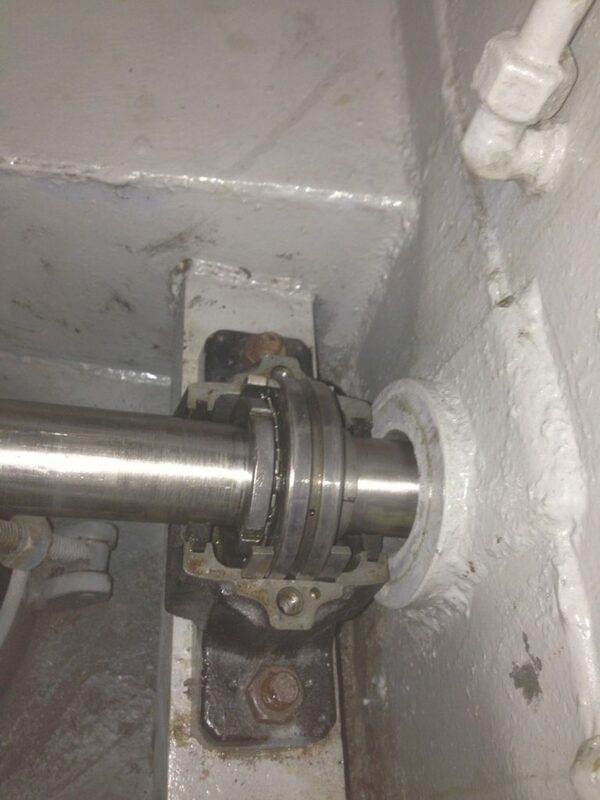 Clever engineers solved this problem by inventing the thrust bearing. Robustly connected to the hull, thrust bearings efficiently transfer the thrust produced by the propeller to the boat while leaving the engine to work away at its shaft in peace untroubled by any thrust forces and safe and sound on its mountings. It’s just straightforward, logical physics. – tail shaft, propeller and perhaps a cutter too to mince and expel stray ropes and nets without disturbing the skipper’s peace. Obviously installing something this complicated is expensive and time-consuming – and hence an attractive target for cost-cutters and efficiency freaks. 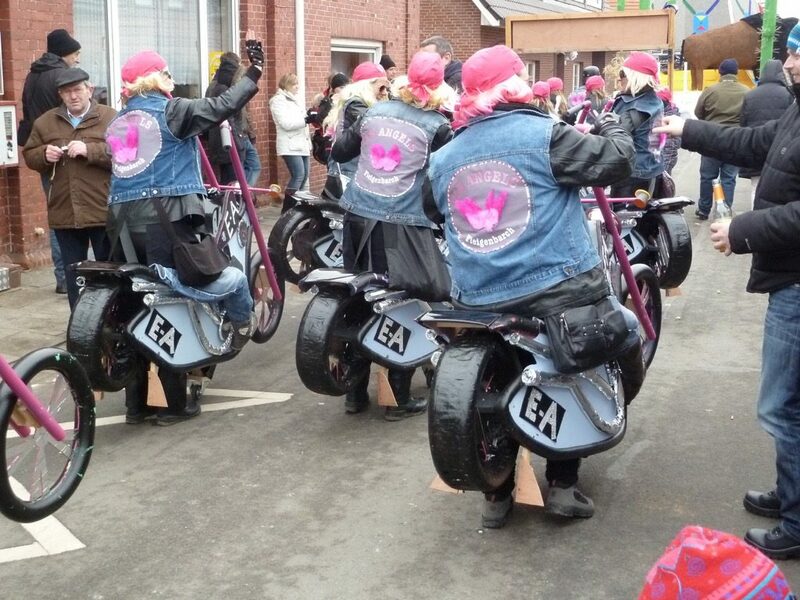 People are seldom more inventive than when finding ways to tilt the cost/income balance more firmly in their favour! Any displacement of the thrust axis relative to the angle of the crank shaft means a loss of efficiency, because redirecting the force from the engine (transmission using bevel gears) adds friction that reduces the drive reaching the propeller. It also adds torsion to the system: the thrust forces are opposed by shear forces that can no longer be directed straight into the hull because of the leverage created by the mismatch between the thrust axis and the angle of the crank shaft. This all happens safely out of sight on a yacht, but outboard motor users will probably be quite familiar with the way the prop shifts forwards as soon as forward gear is engaged. The thrust forces generated at the bottom of the shaft are transmitted to the hull at the top via the transom. Every change in thrust, forwards or backwards, causes the position of the prop to change. This action can be vigorous enough to cause serious problems for a weak transom. 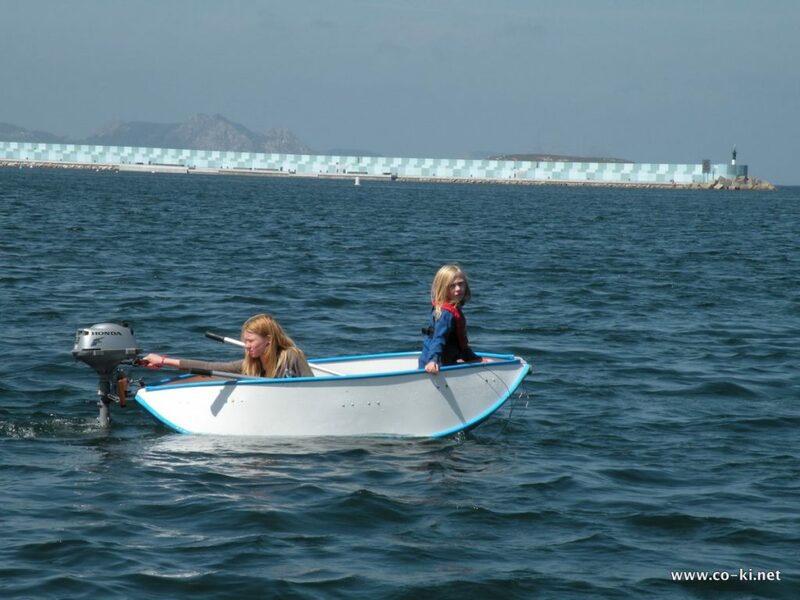 If you were ever (quite by accident of course) to give the outboard on a Banana boat or similar folding dinghy a few too many revs (the safe limit is around 2 HP), you would see how the whole boat bends and twists, rocking over every wave as the motor pushes in one direction and the hull tries to recover its shape in the other. is a remarkably rapid matter of simply connecting up the various pre-assembled modules. This is not the place to go into the details of Z-drives for powerboats. Suffice it to say that the solid back end typical of this type of boat readily accommodates drive components and transmits the force from the propeller very effectively into the hull, especially as the Z-axis can generally be kept quite short (after all powerboats almost always travel with the bow high and the stern low). 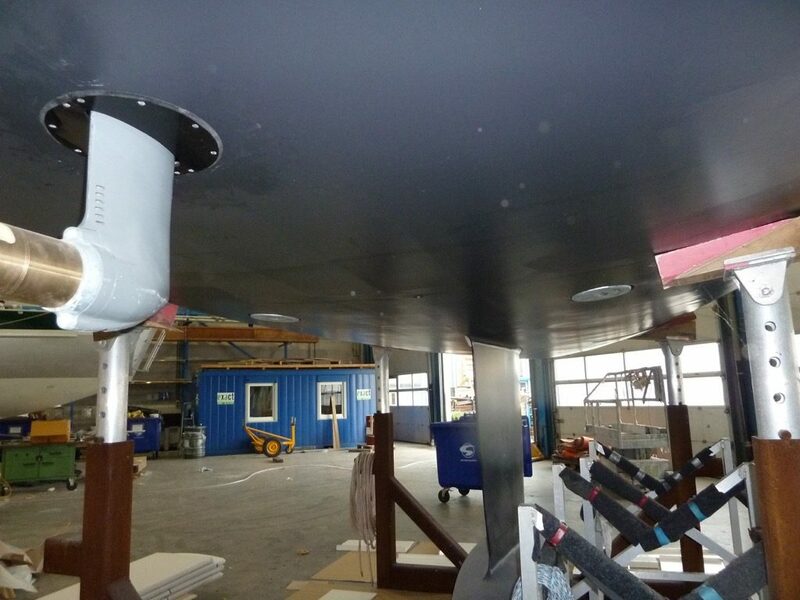 Hardly any high-volume yards still use conventional shaft drives: the cost advantages of saildrive units are just too great for builders to ignore. The owner whose sailing is limited to weekends and holidays and whose boat spends a reasonable amount of time on land every year has ample opportunity for service and maintenance activities and therefore a different set of priorities to the sailor who expects to spend prolonged periods afloat with no access below the waterline. 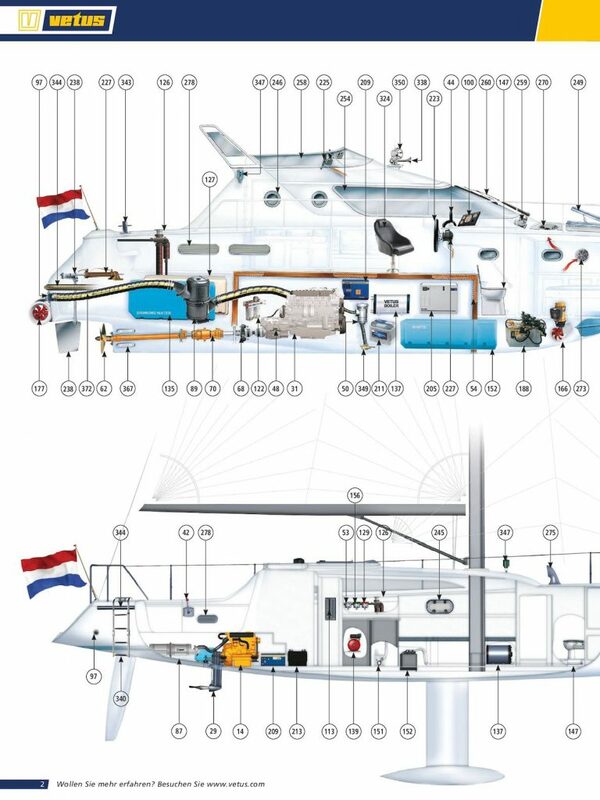 The only component of a conventional shaft drive system exposed to the sea is the propeller, but saildrives have sensitive components – the entire Z-drive – located underwater out of reach. These components need servicing and oil needs changing but it is generally impossible to do this or attend to any leaks or damage without hauling the boat out, which can be a far from simple proposition in many parts of the world. I recall hearing from Bobby Schenk once when he was suffering from “mayonnaise” (caused by seawater mixing with the oil) in his saildrive transmission while in Malaysia hundreds of miles from anywhere capable of lifting his Privilege catamaran out of the water. 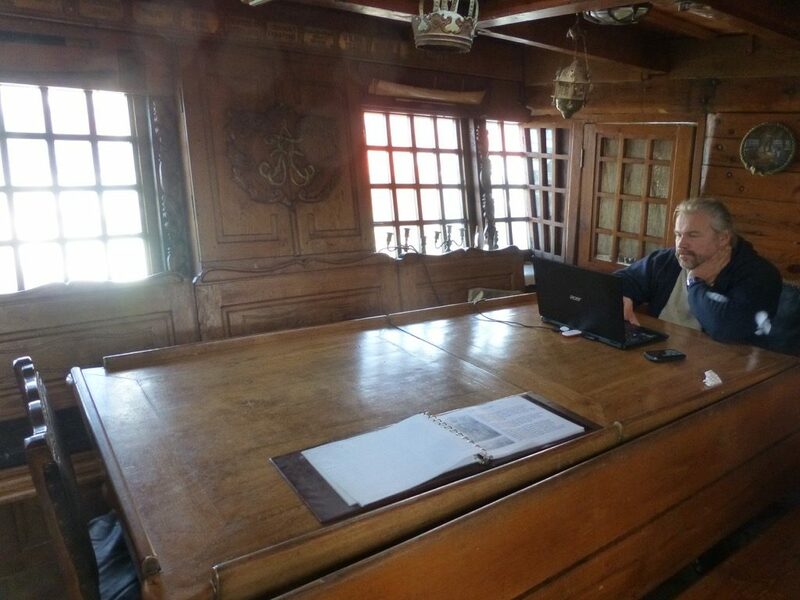 A cunning solution supplied by knowledgeable fellow sailors (Manfred Urich of “Larossa”) eventually saved the day. The underwater parts of saildrive units are almost always made from aluminium, a material that can have an unhappy time of it in seawater unless the AlMg5 alloy is used. 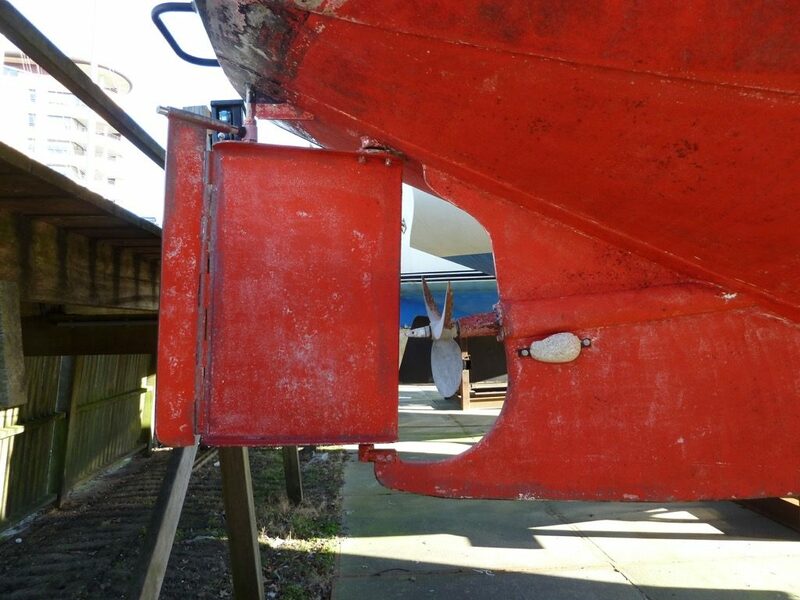 Zinc anodes are therefore essential to protect the drive components, but these anodes require regular replacement, which creates a further problem for users doing their sailing far from the nearest big boatyard. 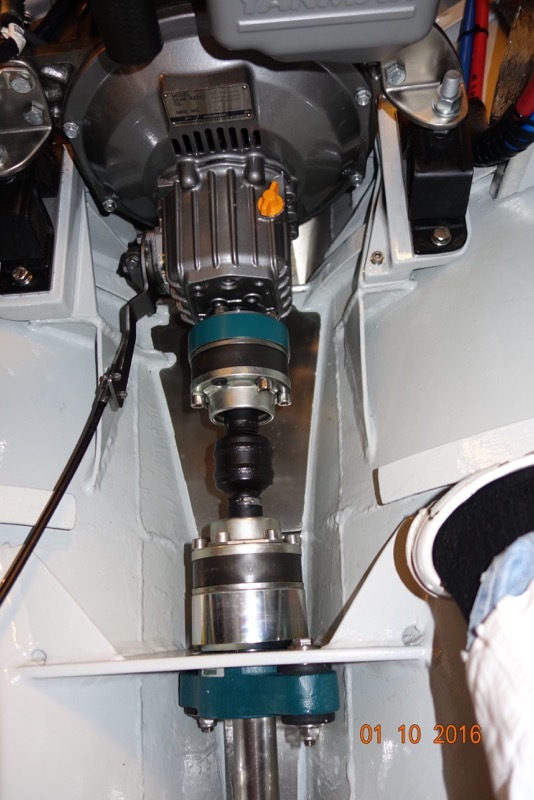 Saildrives need regular servicing to perform reliably and that means regular haul-outs, but since lifting the boat out of the water isn’t an option in many parts of the world, this has to be regarded as another potential Achilles’ heel, especially for bluewater use. I have done my best to produce a balanced assessment and searched high and low for advantages to using a saildrive on bluewater trips, but I just can ‘t find any. Conventional shaft drives can provide good manoeuvrability too so long as the prop is sited close to the main rudder. 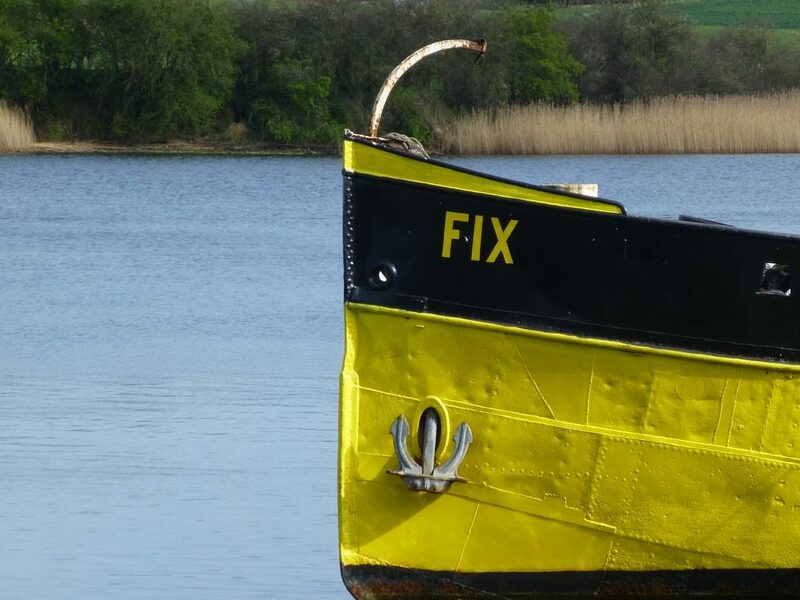 – You need a big hole in the bottom of the boat and have to rely on a rubber seal (or two) to keep the sea out. 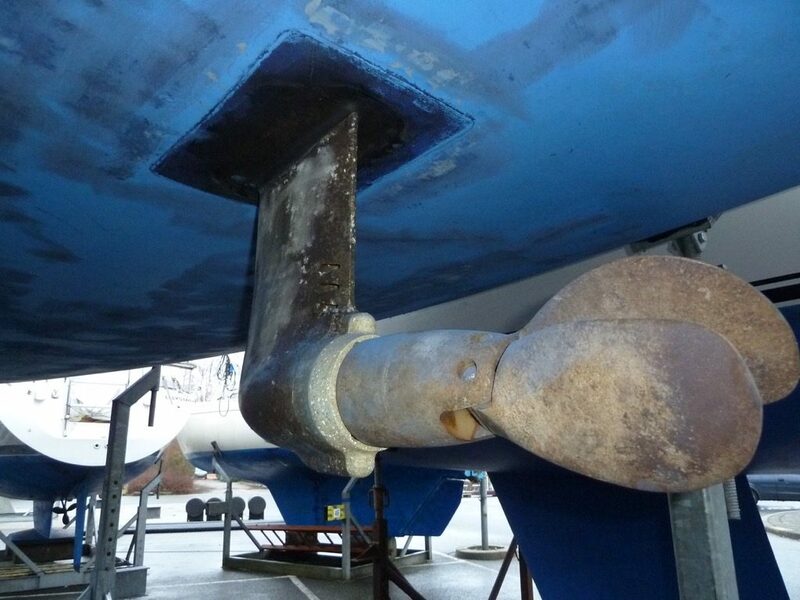 A traditional stern gland does allow water ingress, but only a drop or so every minute. A failure of the saildrive seal, on the other hand, is a nightmare scenario and manufacturers and insurers alike insist on a strict inspection and replacement regime. – A saildrive is much more exposed than a conventional shaft drive to whatever happens to come drifting along in the sea (submerged rubbish, ropes, nets) and to damage in the event of collision or grounding. When choosing a boat for extended voyaging, as little as possible should be left to chance: trusting to luck is never going to be as sound a strategy as removing the potential for problems in the first place. The term Achilles’ heel accurately conveys the seriousness of the issues under discussion.